Miracles still happen! What a great Christmas present I was given on December 24, 2016! 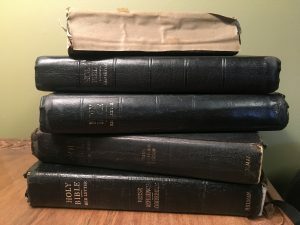 The Bible shown above was last printed in 1976. Lue got me my first Bible like this in 1973 when I graduated from Seminary. I have had 4 just like this during my time in the ministry. But since they have been out of print 40 years they are no longer available. Our Lord put it on my heart to pray that I could find a new one. And then I looked on eBay and found one that had just been listed. It had been in the back of an old building that was once a book store. It was still in the original box and had never been used. It blesses me to know that my loving Lord had been saving it for me all this time. The layout is the same and since I have read it so many times I know exactly where the verse is located on the page. Also I need a good quality one that will last. “The Word of the Lord endures forever” Isaiah 40:8. THANK YOU LORD!!! 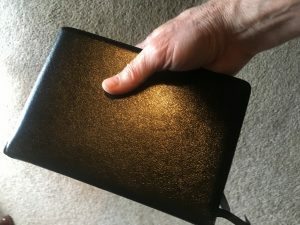 When I posted pics of my Bibles one of my sons in the faith, who is now a minister, jokingly ask if he got one of the old ones. I have many Bibles, but the ones shown above are those I have used regularly over my lifetime. I have preached and taught many messages from them as they have accompanied me to numerous countries around the world. My first Bible is on top. It was a gift from my Grammy Nicar in 1954. 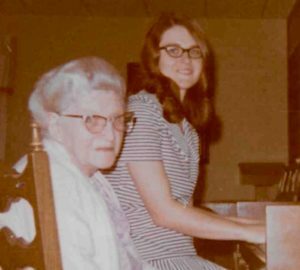 Grammy Nicar was the organist at Calvary Baptist Church in Enid, OK for many years. She was also my preschool teacher one year in the church nursery. Grammy Nicar was a great encouragement to me in my life and as I began the ministry. She also prayed for me often, which really helped! These Bibles are my most valuable possessions. 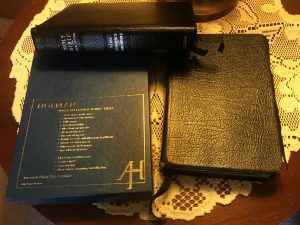 I hope to be able to leave one of these Bibles to each of my children and grandchildren someday. The written Word of God has been used by the Spirit of God to point me to the living Word-Jesus Christ. And the directions and instructions from the Bible by the Spirit have resulted in life more abundantly for me! I have marked the specific Scripture verses in my Bible that have been most helpful to me. I pray these verses will also help each of my family. Hallelujah!!! “All scripture is given by inspiration of God, and is profitable . . .” (2 Timothy 3:16). Jesus said, “The words that I speak unto you, they are Spirit, and they are Life” (John 6:63). Perhaps that is why the Scriptures are referred to as wonderful Words of Life! They are certainly wonderful to me. I delight in your Word oh Lord! If you want to know more read Chapter 34 What is the Bible? 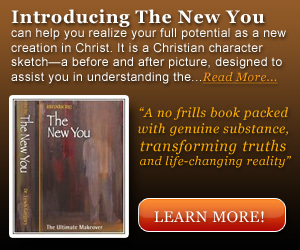 in THE NEW YOU.